During my first year of university I developed a website written in PHP that allowed past/current university students to write reviews of their halls of residence. Each review included specifics such as cleanliness, security and value for money, as well as a summary of the hall. The idea behind WhichHalls was that these reviews could then be read by prospective students, allowing them to choose a hall that was suited to them. 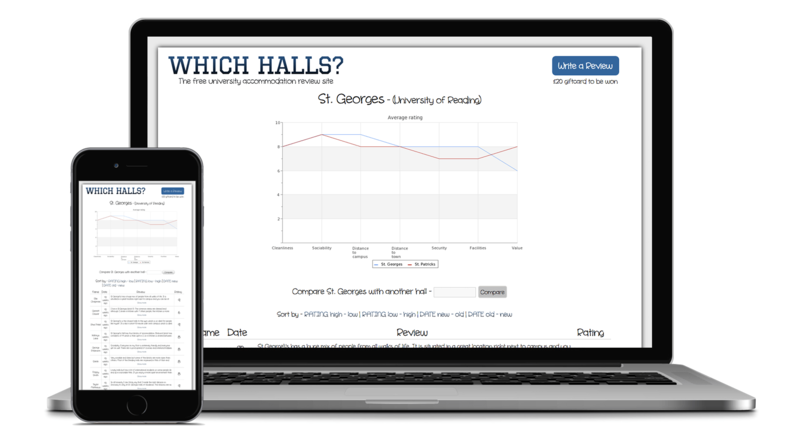 Users could also compare the scores to other halls at the same university. The information gathered from the reviews could have also been used by universities and private companies that ran halls of residence to improve the quality of their accommodation. WhichHalls managed to gather over 150 reviews in a short period of time, however due to a lack of time, technical expertise and funding, I decided to stop development of the website.